The workbooks are here and ready to go under your tree. We've had a number of people ask about quantity discounts, so we've come up with some Thanksgiving weekend sales to help you save money. If you order this weekend, on Black Friday, Small Business Saturday, Sunday and Cyber Monday, any order of five books or more will receive free shipping. Offer good until midnight on December 2nd. any order of 10 or more books will receive one extra book. 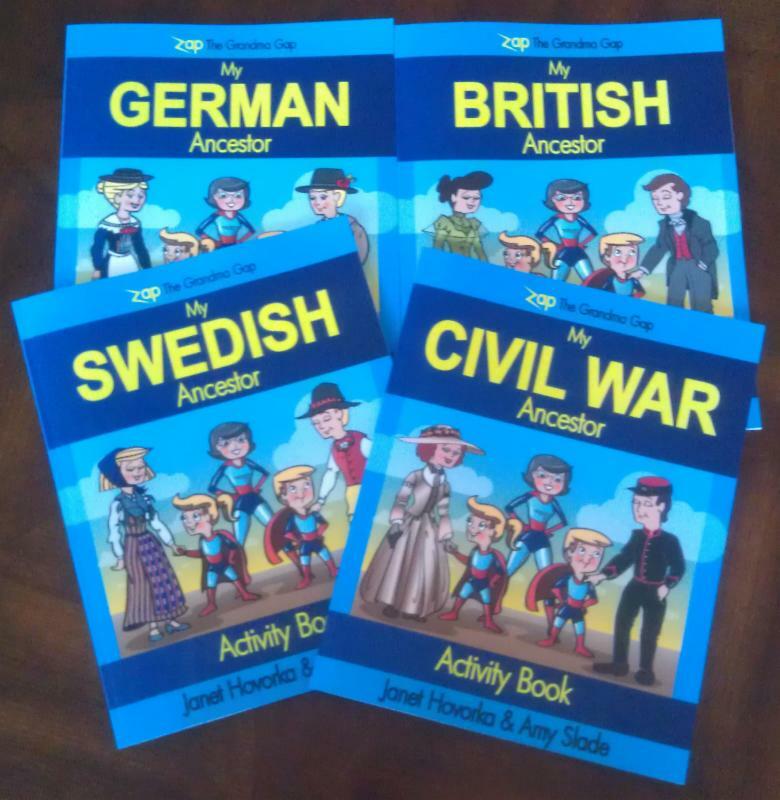 This offer is good for any Zap The Grandma Gap books, including Zap The Grandma Gap:Connect With Your Family by Connecting Them to Their Family History, the Power Up Workbook or any of the My Ancestor Activity Books. We'll be taking the weekend off to be with our families, but we'll be shipping on Monday with plenty of time to get them to you for the holidays. 20 Questions for your Thanksgiving table.